The Latvian Federation of Australia and New Zealand depends on community support for continuing our work and is grateful for every donation received. Your donation will be used to support all of the work and projects outlined throughout this website and summarised, below, that benefit the Latvian communities of Australia and New Zealand. Donations by credit card utilise Paypal. Please write your name in the reference section. Having made the payment, please notify LFANZ, Contact us. Cheques may be sent to LFANZ treasurer: PO Box 2063, Rangeview, VIC 3132. 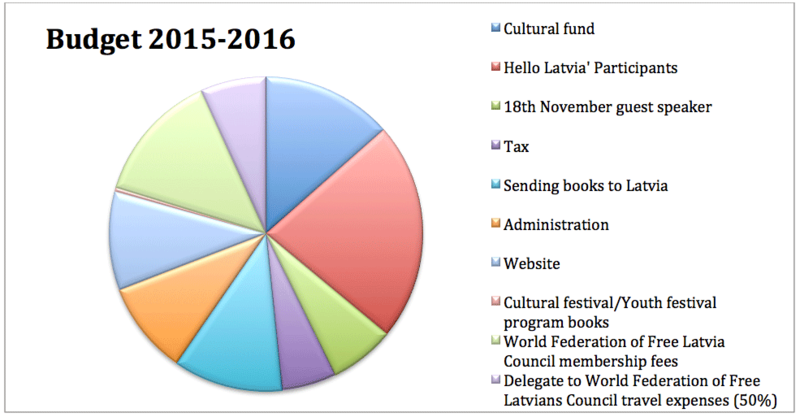 Administration costs include venue hire, advertisements in the latvian media and postal expenses. The Latvian Federation of Australia and New Zealand organises a yearly fundraising drive. 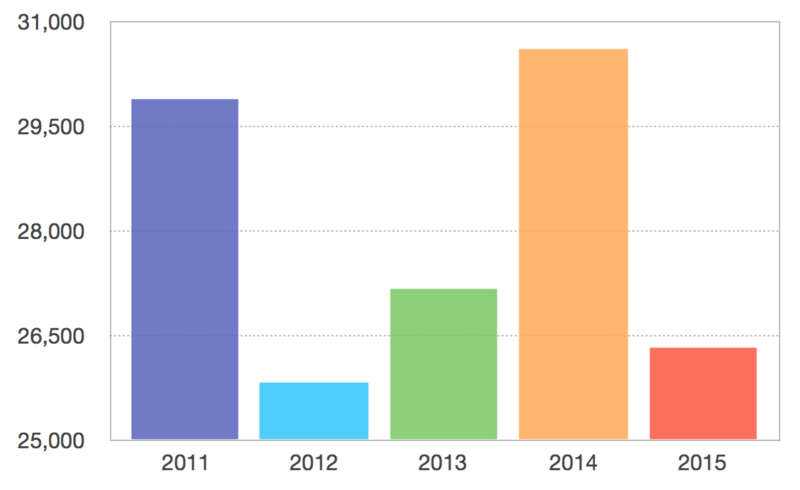 Income received from this over the past 5 years is shown below.